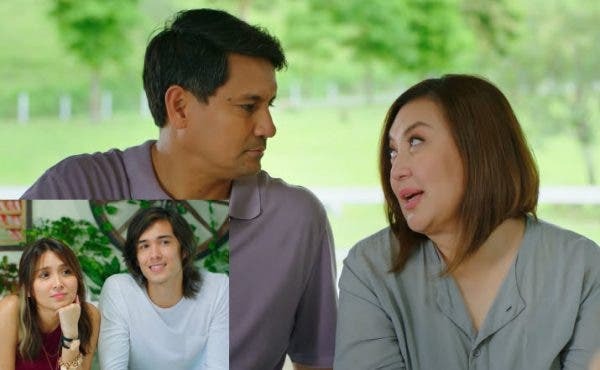 Star Cinema has released a one-minute teaser trailer for the upcoming film “Three Words to Forever” which serves as the reunion project of Megastar Sharon Cuneta and Richard Gomez. Also in the movie are Asian sweetheart Kathryn Bernardo, former PBB housemate Tommy Esguerra, and Joross Gamboa. Directed by Cathy Garcia-Molina, “Three Words to Forever” is slated to open in cinemas nationwide on November 28, 2018. Kathryn and Daniel Say ‘I Love You’ to Each Other in Public for the FIRST TIME!! !